About Me - Why Parks, Presidents and Parks? I am not really a fan of the term ‘bucket list’. 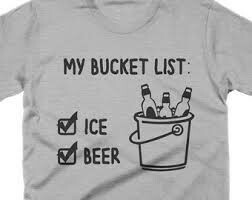 Generally defined as a list of things to do before you die (‘kick the bucket’). The origin of the phrase ‘kick the bucket’ itself seems unclear. One possible explanation is that long time ago, when someone was hung, they were killed by kicking out the bucket they were standing on. But no one really knows. The bucket list has become something that retired people aspire to do, although not directly stated this way, before they kick the bucket. But why wait until old age to see and do things you want to do? I imagine the answer lies in John Lennon’s lyrics from “Beautiful Boy” – “"Life is what happens to you while you are busy making other plans." I don’t know when or how it started, but I always wanted to visit every major league ballpark. By the time I was 30, back in the 1980's I had been to almost 20 different stadiums. Of those 20, only Wrigley Field and Fenway Park still exist, the others are gone. I have lived in New York, Boston, Pittsburgh, Detroit before settling in Chicago, that covered 7 stadiums. Took a trip a Canada one year and saw ball games in Toronto and Montreal, which used to have a team. And on various other trips, both work and pleasure, I saw games in California, Cleveland, Minneapolis and Milwaukee. I'm going to start over and visit every stadium. See who has the best hot dog. And study the sport and its statistics. I passed the Herbert Hoover presidential library while taking a son on a College visit in Iowa. We had some extra time and decided to visit. When you think of Herbert Hoover, what do you think? Great depression. Either he caused it, or he was unable to recover the country from it, or both. But did you know that he led the effort to feed starving populations during World War 1? Ultimately, he was responsible for the rescue, feeding, clothing and resettlement of more victims of war than just about anyone in history? No, you didn’t. Neither did I. Out of this I developed the plan to read a biography of each President and to visit their Presidential museums. There is probably more to the Presidents than we learned in High School or is the common impression about them and I'm going to investigate. Virtually every family vacation I took as a youth was a camping trip in a park somewhere. While this developed an appreciation of the outdoors and parks, I think that taking my wife camping on our honeymoon may not have been the smartest idea I ever had. Especially when it rained all the time and we learned that mosquitoes liked her much more than me. But while traveling the country visiting Ball Parks and Presidential Museums, why not visit our Country's natural splendor? And not only the famous ones, but obscure National Park Service (NPS) sites, such as the George Rogers Clark National Historic Park in Indiana, site of an important, but forgotten battle from the Revolutionary war. I went to school, got a job in IT, married, raised a family (3 children), and 40 years went by. The opportunities to visit Parks, Presidents and Parks were few and far between. I tried to fit it in when I could. When one of my sons had a regional rowing tournament in Cincinnati, I saw a game in the Red’s new stadium – Great American Ballpark. By the way, if you have a kid interested in crew, it is not much of a spectator sport. We drove 6 hours each way to Cincinnati for the rowing regatta. The races take all day. You get to see 2 two-minute races, where you have no idea who is winning. The National Park System (NPS) has over 300 sites including many historical sites, battlefields and memorials. You can keep a record of your visits in an NPS passport book, something my wife, Rita, is very interested in. If you are going to embark on a series of trips, make sure your partner is invested also. To convict a criminal, you need to have means, motive and opportunity. I guess you can say, as a recent retiree, that I have the means (financial), motive (interest) and opportunity (time) to explore my interest in Parks (baseball parks), Presidents (presidential museums) and parks (NPS Sites). Just don’t call it a ‘bucket list’.